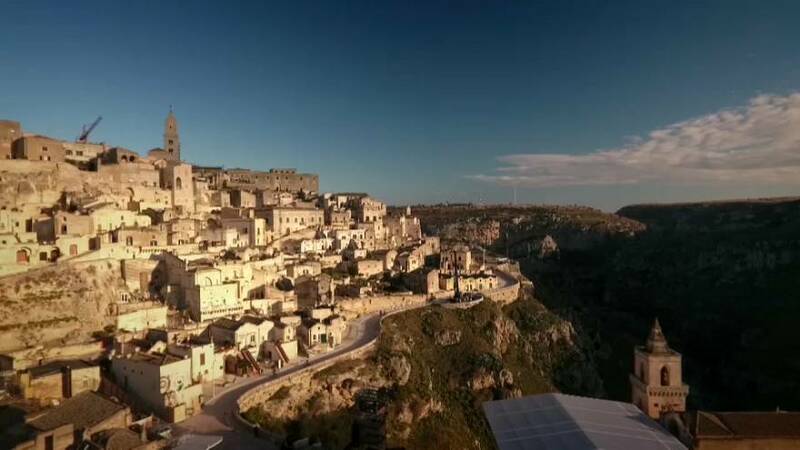 The sun is shining on Matera on its big day. The city is officially the European capital of culture. Over the next 12 months, more than 1 million tourists are expected to visit. But what does that mean for the so-called city of stones ("City of Sassi”)? Only days after the opening, it's already generating a buzz with organizers calling it a huge success. The opening ceremony included 54 marching bands playing Beethoven’s ‘Ode to Joy’. Internationally celebrated Italian composer and pianist Stefano Bollani conducted all the bands for a big concert. He told Euronews about his reason for choosing to have marching bands play. “I like the idea of having marching bands playing because in a band everyone plays just for the pleasure of it. They’re rarely professional musicians, unlike in a symphony orchestra. Music is not their job so they put a lot of joy into playing, they have fun together and they just aim to play good music”. But the marching bands are just the beginning, the town’s mayor, Salvatore Adduce, says there will be no shortage of exciting events with 300 more planned for 2019. The Temporary Citizen passport will only cost 19 Euros. The proceeds will be used to support Matera 2019. It’s also a diary in which you can write down your impressions with the most creatively written passport winning a trip to Galway, Republic of Ireland - the next European capital of culture.